Who would ever think that something as simple as bananas could provide opportunities to break the cycle of poverty? In the village of Chongwe in Zambia, a banana plantation has become a symbol of hope. The teens and young adults in Chongwe are among a booming sector of the population known as the “youth bulge”, which is concentrated especially in the developing world. Outnumbering adults disproportionately, these youth (ages 15 to 25) face an extraordinarily tight job market. With support from ChildFund, the village of Chongwe is defying the odds. By bringing the community together and offering resources and education, ChildFund has helped the youth of Chongwe transform a growing problem into lasting change. Through its Youth Empowerment Programme, ChildFund challenged these young people to envision a collaborative effort that would mobilize their skills and create a long-term opportunity for employment. The programme applied ChildFund’s Youth Employment Model, which is designed specifically to prepare young people to enter the workforce. The model takes participants through a five-part process: a market survey (to ensure job training is demand-driven), technical skills training and production support, basic business skills training, life skills training and ongoing mentoring. 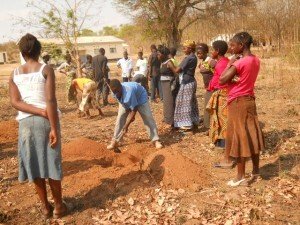 Through these activities, the youth in Chongwe realised that their community offered a perfect environment for agriculture, and they suggested trying to establish a banana plantation. Soon, the idea moved toward becoming a reality. A ChildFund grant paid for seeds and a state-of-the-art, solar-powered irrigation system. A local chief donated land, and the Ministry of Agriculture taught the young participants how to grow bananas and maintain their equipment. A fertilizer company provided the training to farm the plantation. Youth clear a field for banana plants. 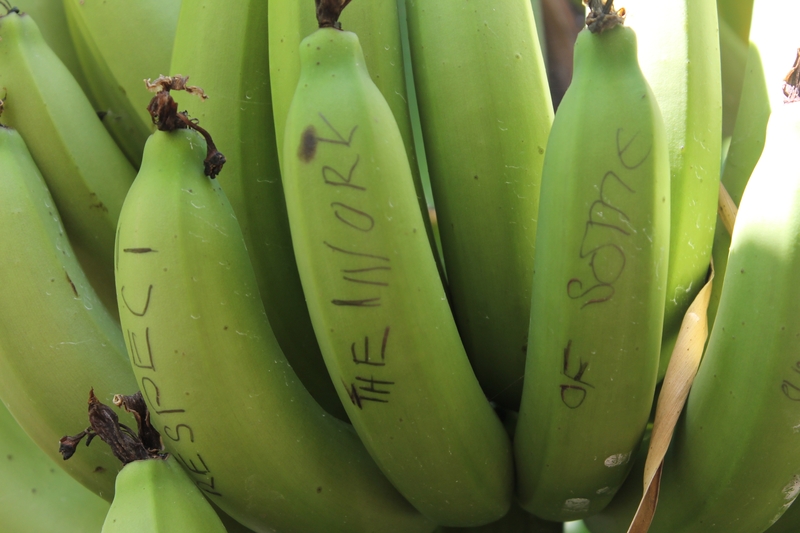 The result is a flourishing farm of more than 1,500 banana trees and residual employment opportunities for the youth. Since the programme began in 2010, many youth in Chongwe have become prospering entrepreneurs. They have learned to run a business and follow how bananas fit into the larger world economy, daily checking commodity prices. Some of the boys and girls who care for the banana plantation are laying foundations for other businesses, like one young man who started a vegetable garden and parlayed it into a grocery business. What began as a challenge has become an opportunity. The Chongwe youth are a testament to the kind of change that can happen when potential is tapped and resources allow it to flourish. 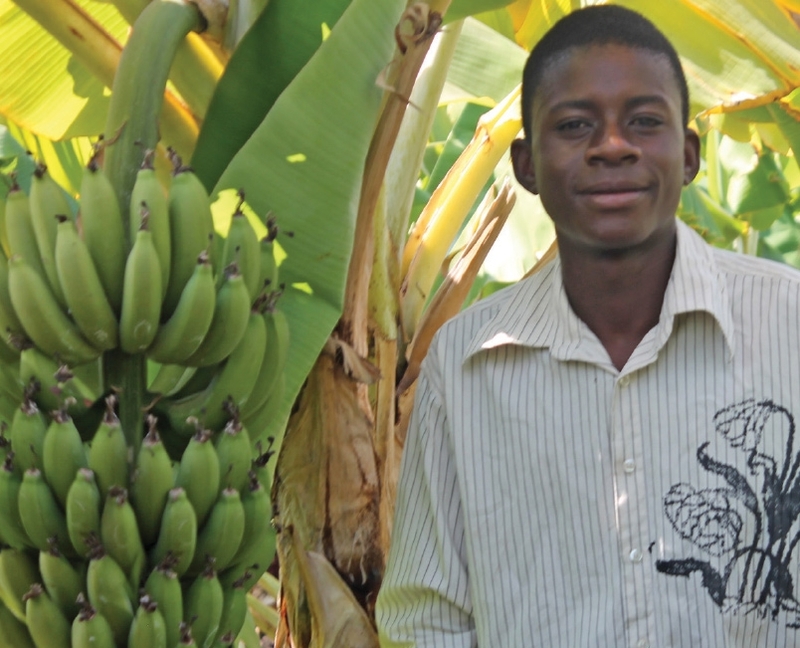 A young Zambian man who tends banana plants. You can help ChildFund provide more opportunities for children and youth in several countries: sponsor a child today!